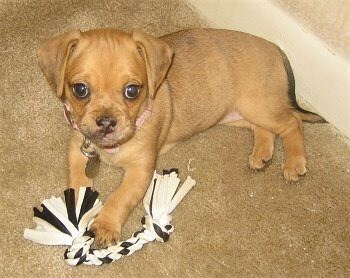 The Daug mix is a combination between a Pug and a Dachshund. As with any other mixed breed dog, finding out the characteristics of your future Daug can be guessed by looking at the two breeds that are part of the mix. The dog will have some things from the Dachshund and some from the Pug side. The typical Daug tends to be smart and cute, a great heart melter for anyone. They make for great companions, they’re usually strong and they have a very nice coat. Since the Dachshund is the type of dog that even people with allergies can be around, there is a good chance that the Pug Dachshund mix will have that characteristic. 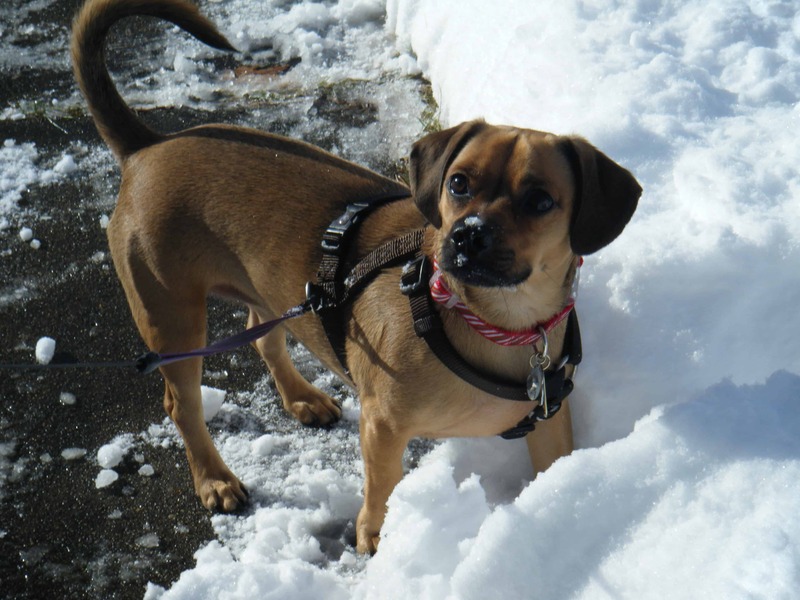 Keep reading about the characteristics of the Pug and the Dachshund breeds to figure out what your mixed breed might look like. The Pug, a breed of toy dog, is believed to have originated in China, from which it may have been imported into England in the 16th century. Today’s Pug is descended from dogs developed by English breeders. The Pug breed has a short, solid body; a large, round, and massive head with profuse wrinkles; a short, square muzzle; large, bold, dark eyes; straight legs; and a tightly curled tail. It has a short haired coat which is soft, and glossy. The color of the pug is silver or apricot-fawn with a black mask, with a black trace from the middle of the skull to the tail; or it is solid black. The Pug is about 10 – 11in. high at the shoulder and weighs 13 to 18 lb. The Pug is loyal, affectionate, lively and has a special love for children. This dog loves to be near his family and to please them. As with all toy breeds, small children should be supervised. The Pug responds very well to basic training. Training is recommended at an early age. The Dachshund (German for badger dog) is a breed of hunting dog, originally developed in Germany, where they were used to drive badgers from their holes in which the dogs could enter because of their short legs. Along with their short legs, they have a long body and long ears. They have short hair, are tan, tan and black, red or speckled and have houndlike heads. Standard sizes range in weight from 15 to 22 lb; the miniature variety weighs much less. Dachshunds range in height from 5 to 9 in. Long-haired and wire-haired varieties have been bred by crossing the short-haired variety with spaniels and terriers. Today the Dachshund is seldomly used for hunting. They are valued pets and are very loyal to their masters. The Dachshund has a very good disposition and they can be good with children if they socialize with them beginning at a very young age. Training is recommended at an early age. 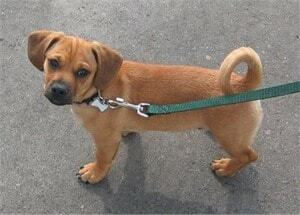 Read above for the appearance and the temperament of the Pug Dachshund mix, by looking at both breeds. Your Daug will have some characteristics from the Dachshund and some from the Pug. Which ones will your dog have depends on your luck basically. The picture to the right is that of a Daug puppy. As you can see, it’s incredibly cute and it will make for a great gift for someone. I just got my pug weenie yesterday. He has been a very good boy so far. He is so adorable. I am lucky to have him. Need to find a pug-dashhound for my daughter hers was trajectly lost. My daugjter is beside herself. Her Sassy was her companoin. Please respond. At [email protected]! I love pugs and I want one sooooo much a.d.o.r.a.b.l.e. Just an Opinion, Until the mix breeds of Pugs and Dachsunds become a AKC brred or breeders establish height, weight, appearance standards, finding a Daug like the pictured pet, will be difficult. Go to a rescue shelter and find a healthy “muttley” and give one a good home. I want a Irish Wolfhound ($$$) so we could play rough and excersize the dog in my large lot. (.80 acre,fenced) Another dog admired is the Jack or Parson Russell Terrier, being intelligent with endless energy. Because i’m lazy i need a lazy breed dog? A Bassett Hound has the round head, long muzxle with sad eyes. The clowns of the dog world! Todays’ choices of dogs measuring size of home, yard and family composition has the right dog for you.